In mid-May, 2013, Brewer of the Year was launched. 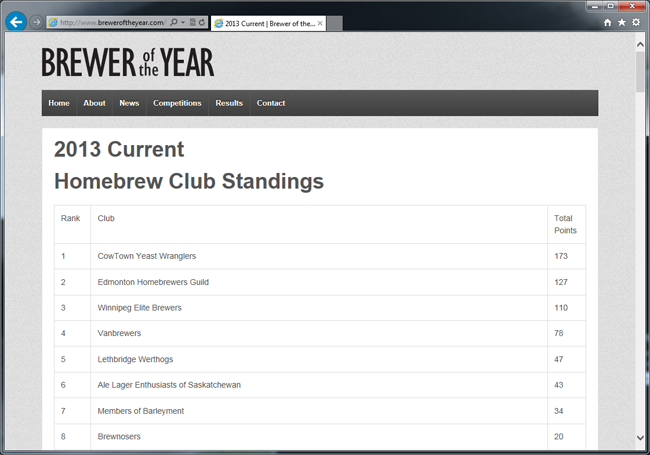 It is a website dedicated to tracking registered, BJCP-sanctioned homebrew competitions in the Canadian circuit. With a focus on speed, efficiency, and accuracy, the site has broken into the competition scene with an energy and enthusiasm for recognizing the hard-won accomplishments of Canadian amateur brewers. Through collaboration with competitive home brewers, competition directors, and home brew club executives across the country, Brewer of the Year is seeking to manage a system that works for everyone: site administrators, competition organizers, and the brewers who are eager to see results tabulated quickly. As the site went live in the middle of this year’s season, it does not yet have all the bells and whistles planned for next season, such as early online hype, advertisement for registered competitions, and sponsored prize packages for the winning brewers and homebrew club. However, the site contains past years’ results, current season results, competition announcements, and news releases. Stay tuned to see what will be in the works for next season! 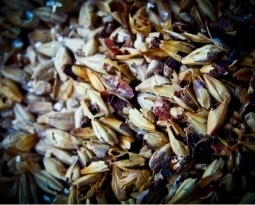 Craft Brewing is working with Brewer of the Year to host an Invitational Homebrew Competition, to be held in early 2014. The plan is to invite the top brewers from the 2013 season to submit an entry into this competition. Details will be forthcoming as they are nailed down. Big things are coming for the Canadian homebrew circuit! 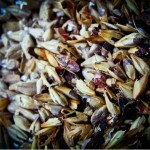 Keep checking out Brewer of the Year as the remaining homebrew competitions of this season are completed. Results are still pending from CAMRA Victoria and Montreal…and don’t forget about the upcoming Winnipeg competition, to be hosted by the Winnipeg Brew Bombers – planned for this November – details to be announced soon!